Sam Souryal, a professor of criminal justice at Sam Houston State University, has been named an “Academic Fellow” for 2009-10 by the Foundation for the Defense of Democracies, a non-partisan policy institute headquartered in Washington D.C.
Souryal will travel to Israel for a 10-day learning experience from May 30 to June 10 at Tel Aviv University to participate in an intensive course in terrorism studies to learn how democracies can combat the worldwide terrorist threat. The fellowship is limited to United States-based teaching and research professionals to provide them with information about defeating terrorist groups. The program will include lectures by academic, military and intelligence officials, as well as diplomats from Israel, Jordan, India, Turkey, and the United States. It will also include “hands-on” experiences through visits to police, customs, and immigration facilities, military bases, and border zones to teach the practical side of deterring and defeating terrorists. “Terrorism is the greatest threat today to the world’s democracies, including the United States and our allies around the globe,” said Clifford May, president of FDD. The FDD views this program and Souryal’s participation in it as fundamental to their mission of educating Americans about the threat of terrorism to the democratic way of life. By teaching professionals the information available about terrorism, the FDD hopes to better inform future leaders of the country about this issue, according to Souryal. “I hope to integrate what I learn into all the courses I teach at Sam Houston State and learn new ideas about how organized technology can be used to stop people before they do bad things. The experience and knowledge gained will be useful on campus and to the state of Texas, as well as the world,” Souryal said. Souryal will also make a brief presentation to interested faculty, staff and students on what he learns during the course of his fellowship when he returns. “I am very much looking forward to the opportunity to listen and participate in the exchanges and interactions which we will all have in Israel. It should be a useful experience for a course I plan to teach on international terrorism next year and other related academic activities,” Souryal said. 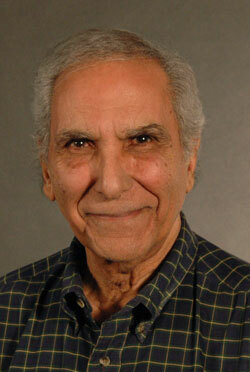 Souryal teaches courses about professionalism and ethics in criminal justice. He also teaches classes for the Law Enforcement Management Institute of Texas and a course to foreign police officers in Roswell, N.M. dealing with current events and situations of terrorism.